Students who are the most successful with story problems are able to construct an accurate mental representation of the story. In fact, if students don't understand the context or situation, then they cannot identify the problem to be solved. With this in mind, focus on the story before the math. 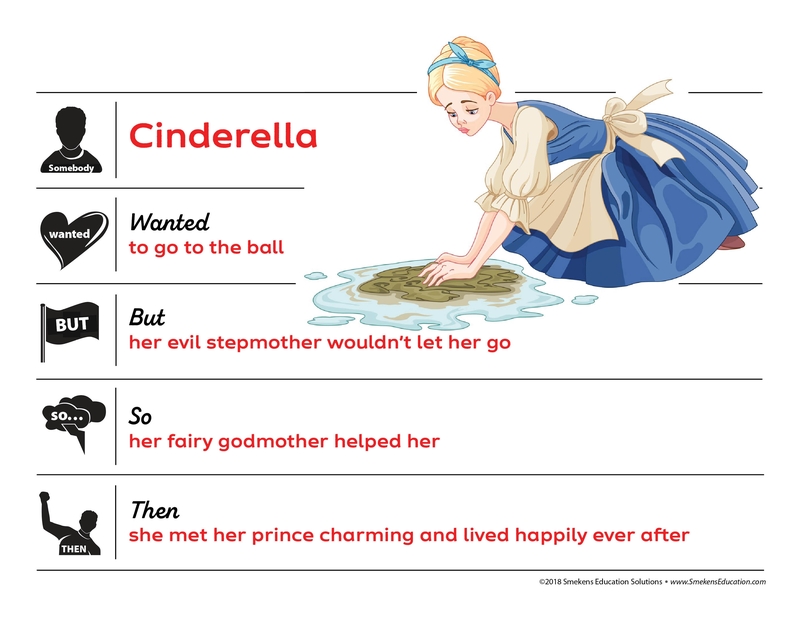 Make a connection between summarizing stories and retelling story problems. One way to accomplish this is with the popular frame Somebody, Wanted, But, So, Then. 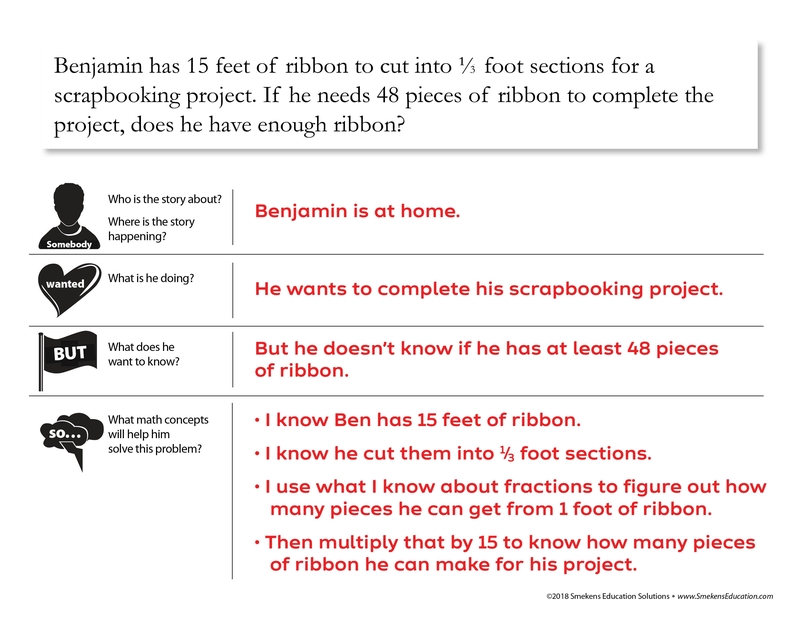 Using this summary frame, redefine the story elements to fit the content of a math word problem. Identify who is relevant in the situation. Initially, practice with word problems that only have one character. Then introduce more complex problems with two or more individuals. Although many story problems don't identify a specific setting, they imply one. Based on the activity or action, students should infer where the situation is occurring. This will help them visualize what's happening and what the problem is. Like characters in literature, individuals in a word problem are motivated by something--they want something. In math problems, this is the activity the character is engaged in. It's what he is doing or wanting to do. There is always something the character doesn't know. He needs to figure out something. This is the character's problem (and the math problem the student needs to solve). 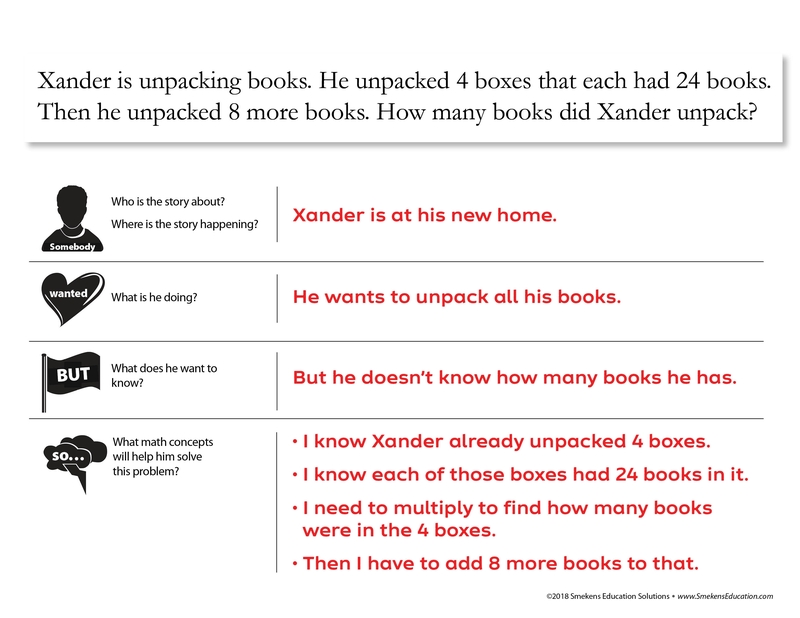 For those struggling with word problems, just spend time retelling the situation (i.e., Somebody... wanted... but...). Students can't solve the problem if they aren't able to acknowledge the story or context. Then, introduce the fourth facet. So... is where students reveal their mathematical thinking in words. This facet is a general outline of the steps it will take for them to determine the answer. Teachers can trace a student's line of thinking and reinforce it or refine it, as needed. So... is especially important when students face multi-step math problems. In order to "force" students to focus on the mathematical thinking (and not simply "do" the math), black out or remove any numbers in the original story problem (Magee and Flessner's numberless word-problem strategy). With a strong grasp of the story and the problem, reveal the specific quantities. Using their step-by-step process from the So... portion, students Then show their work. Today I had the opportunity to go into a 2nd and 3rd grade classroom and model the Somebody Wanted, But, So, Then strategy for math that I learned at the Smekens Literacy Retreat! 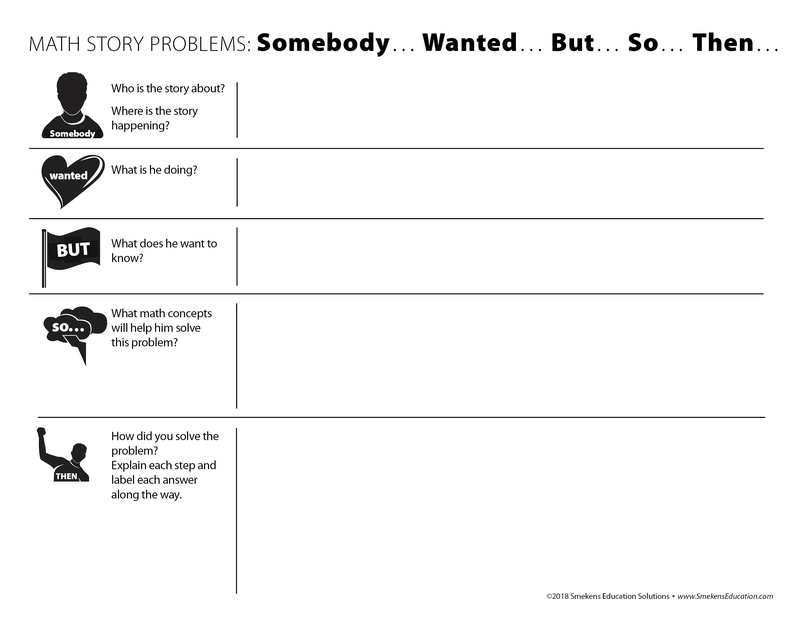 I really feel like this can be game changing, especially for our EL learners because they have a hard time understanding the language of story problems. I can't thank you enough for all the ideas we get from you! This math stuff is really going to help our students. Thanks again! Thanks for sharing this, Bridget! For more information about this, visit Bridget's Longmeier's blog. Teachers feel empowered and encouraged after working with Kristina. She is an expert at developing practical ways for K-12 teachers to apply research-based literacy strategies.